SoMedia Networks has a list of 10 best practices for getting results from landing pages with video. Here is a link to the full list. I wanted to summarize a few things here. Landing pages are a place on your website where your goal is to get the visitor to convert into a lead or a customer by having them perform some kind of action on the landing page; for some landing pages, you just want the visitor to willingly provide you with their contact information so you can add them to your mailing list or follow up with them at a later date. For other landing pages, you want them to click the “purchase” button or so other action that would then have them start the process of becoming your customer. So having a video on your landing page can increase the chances of the visitor converting into a lead or customer. The video should be between 30-60 seconds in length and you should mention how long the video is within the first couple sentences of the video. You need to have simple and concise wording, great imagery, and the video player needs to be placed on the page in a position that draws your eye to it. Custom video thumbnails are known to increase the chances of someone clicking play, so they are very important too. These simple tips can dramatically increase the chances of your visitor converting to a customer. For most cases, having a landing page that doesn’t have the regular layout of your website and doesn’t show links to the rest of the pages on your website will increase the probability of the visitor submitting their information. There is a real science that goes behind getting people to willingly give you their contact information! 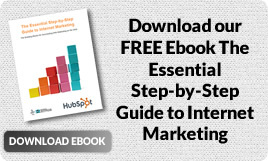 For more information, check out some of our related posts about Inbound Marketing and Video.